The brainchild of Women's Team Member Bree Walas. She first introduced Rookie Rugby as a way to introduce boys and girls between the ages of 3 and 10 to the game of Rugby. From humble beginnings, with just several participants, to a count of around 20 at the last session. Bree tries to host the Rookie Rugby before scheduled home matches. Is it working? Look at the smiles on the youngster's faces. 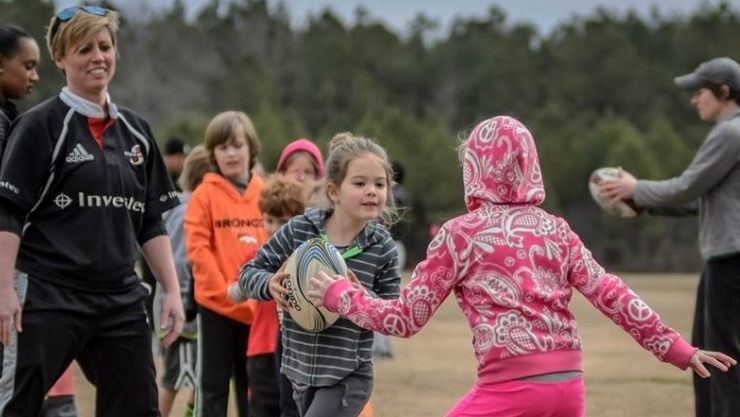 The Arkansas Rugby Kids Organization is a non-profit group built to promote our worldwide game and its values of FUN, respect, teamwork, and discipline for youth. Programs are held weekly at War Memorial Stadium. "I found rugby as a teenager after a local rugby club coach came to run tag (flag) rugby as an after-school club. Up until this point I had only participated in individual sports including regional honors in gymnastics, athletics and swimming and the idea of a team sport intrigued me. After attending my first full contact session at Reading RFC I was hooked! I spent the next 5 years playing in the U15’s and U18s side there before being selected to play for the England U20’s team at 17 years old — a huge honor for both myself and my family. In my senior rugby career, I’ve had the pleasure to play for London Wasps, Richmond RFC, Henley RFC and now Harlequins FC as well as collecting a number of England caps for both 7s and 15s with highlights including playing in a 6 Nations and on the World Sevens Series. Throughout the ebb and flow of my amateur and professional rugby career I’ve had the good fortune of receiving mentorship and coaching from the best in the game. A passion has been ignited within me for coaching through roles within Harlequins FC as well as starting up a new franchise coaching youth rugby back in the UK, which I love, and I need to pour the teaching I’ve received into the next generations of athletes! I’m very excited and honored to be welcomed to coach youth rugby in Little Rock this summer and cannot wait to introduce some new faces to the wonderful sport." Campers will be learning to play touch rugby by professional rugby player and coach Hannah Fields from the UK. Coach Fields began rugby as a teenager and was selected to play for the England U20’s team at 17 years old! 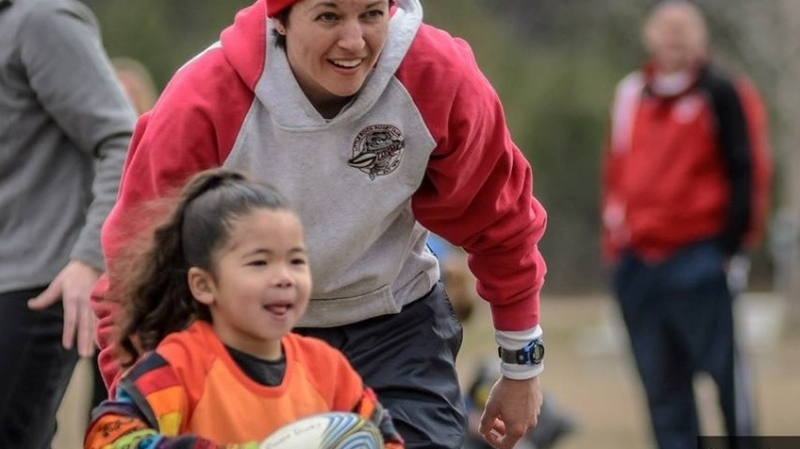 Recently, she has transitioned into coaching roles within the Harlequins FC and coaching young children through new programs in the UK. Girls and boys ready to learn new athletic & teamwork skills and expand their sports & competitive minds. Sneakers or cleats, athletic clothes, ENERGY, and a winning attitude! In case of an emergency, if parent/guardian is unavailable, this is the person we should contact. If you plan to attend weekly, select "Yes." If you plan to attend weekly, but will miss 1 or 2 sessions, select "Yes." If other, select "No" and we will contact you to discuss which sessions you plan on attending. "I understand payment will need to be made in full prior to arrival of first camp session." Next, press the "Print & Sign Waiver" button to access our release form and bring with you to your first session. Finally, press the "Add to Cart" button below to process your payment. If you have multiple children, return to the page, Select “Additional Sibling…",’ then “Add to Cart” again—this will have to be done for all additional siblings. If you have questions or concerns, email us.